FINALLY!! I’ve had this recipe bookmarked in my recipe binder since I printed it out almost two years ago and I’ve finally made this lemon cake. Why did I wait so long?! Probably because Kyle isn’t a lemon fan (jerk. lol). Probably because there was always another recipe that made it to the top of the list when I needed something like this. Like this recipe. Or this one. Nonetheless, when I was creating my menu for our brunch this past weekend, I firmly decided to use this recipe come hell or high water. Holy crap. I’m SO mad at myself for waiting so long to make this cake! 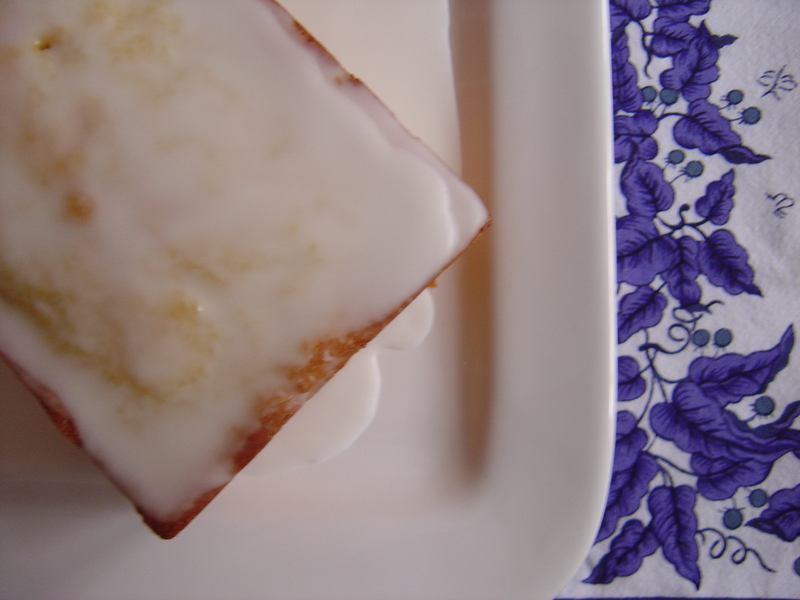 It was waaaaay better than any lemon cake I’ve ever had – light yet dense and just lemony enough to satisfy both the lemon lover and the almost-converted lemon lover in the house. I even caught Kyle eating the loaf (the loaf – not a slice of the loaf) with a fork earlier in the week! The most time consuming part about the whole cake is zesting the lemons but seriously, when you get TWO 8-inch loaves from this one recipe (I froze the 2nd loaf), I can hardly complain about zesting a few lemons. Tired of the brunch posts yet? I wish I had some lemons & I’d make this RIGHT NOW!!! 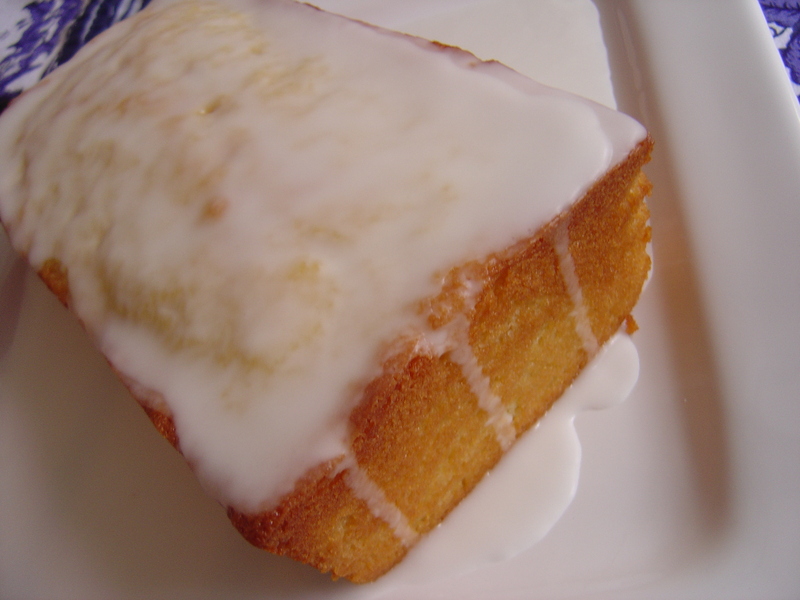 I love lemon, I am going to have to try this cake! Pretty much YUM sums it up!!! Looks and sounds great! I have a version of this recipe bookmarked where someone used orange instead of lemon and I’m hoping to try that soon. Yum! Looks delicious! I have been looking for a lemon cake and didn’t even think to check my cookbooks! This one sounds amazing! I absolutely can’t wait to make this! I have two events this weekend that I need something just like this for, so I love that the recipe makes 2 loaves…thanks for posting! Has anyone tried this cake in a regular cake pan for a more formal cake ? Because it sounds more lemony than most, I would like to use it but as a 12 x 12 cake for my grandson’s christening. I was thinking of making this two times in a 12 inch square pan and slicing each layer horizontally with the glaze in-between and covered with fondant. Any thoughts or ideas? Hi Elda, Yes, I definitely think you could make it as a 12×12 cake but I’m not entirely sure how it would work as a layer cake. I’d suggest giving it a test run!! This looks like the perfect dessert to take to a meeting next week. My mouth is watering just thinking about it! I might try to make the NY Coffeecake too. it’s a keeper. can’t really decide if it’s a cake or bread…..but it is delicious! Shared with some neighbors and got a thumbs up from everybody.